A seamless transition between architectural spaces, the L1 2-Sided boasts the same widescreen proportions as the highly successful L1 Series. Connect living spaces with Valor warmth, design and reliable home comfort. Combining linear design with Valor heat performance, the L1 see-thru provides efficient zone heating for two separate spaces. The 2-Sided is also ready to take the new HeatShift System, we recommend this option especially for installations where cooler walls immediately above the fireplace are desirable. 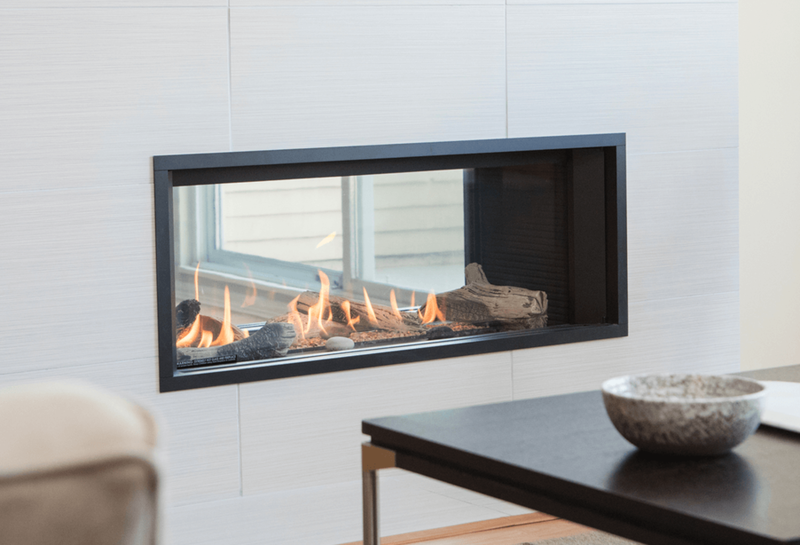 Designed to reduce surface temperatures, the Valor HeatShift System™ is recommended, especially when adding a wall mounted TV or heat sensitive material directly above the fireplace. In essence, raising the heat outlet improves conventional airflow - reducing wall temperatures and improving overall performance. Excess warm air is then circulated back into the room at a higher elevation.